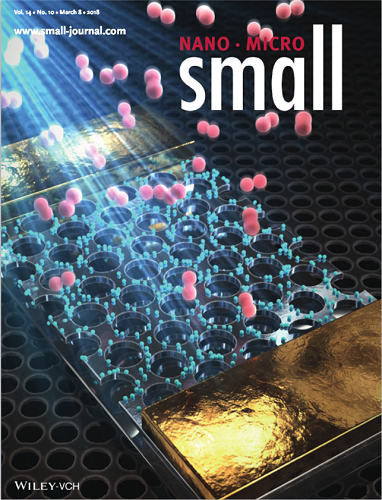 A KAIST research team reported a high-performance and cost effective hydrogen sensor using novel fabrication process based on the combination of polystyrene nanosphere lithography and semiconductor microfabrication processes. 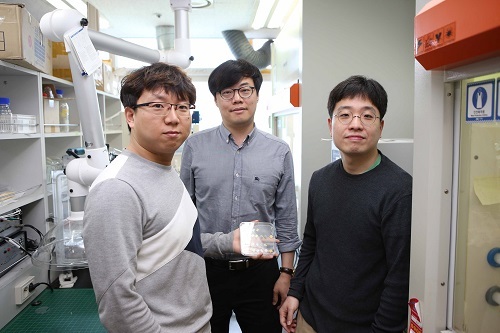 The research team, led by Professor Inkyu Park in the Department of Mechanical Engineering and Professor Yeon Sik Jung in the Department of Materials Science and Engineering, fabricated a nanostructured high-performance hydrogen gas sensor based on a palladium-decorated silicon nanomesh structure made using a polystyrene nanosphere self-assembly method. Their study was featured as the front cover article of journal “Small” (Publisher: Wiley-VCH) on March 8, 2018. The nanosphere lithography method utilizes the self-assembly of a nanosphere monolayer. This could be an alternative choice for achieving uniform and well-ordered nanopatterns with minimum sub-10 nanometer dimensions. The research team said that the small dimensions of the silicon enhanced the palladium-gating effect and thus dramatically improved the sensitivity. Hydrogen gas is widely considered to be one of the most promising next-generation energy resources. Also, it is a very important material for various industrial applications such as hydrogen-cooled systems, petroleum refinement, and metallurgical processes. However, hydrogen, which is highly flammable, is colorless and odorless and thus difficult to detect with human senses. Therefore, developing hydrogen gas sensors with high sensitivity, fast response, high selectivity, and good stability is of significant importance for the rising hydrogen economy. Silicon nanowire-based devices have been employed as efficient components in high-performance sensors for detecting gases and other chemical and biological components. Since the nanowires have a high surface-to-volume ratio, they respond more sensitively to the surrounding environment. The research team’s gas sensor shows dramatically improved hydrogen gas sensitivity compared with a silicon thin film sensor without nanopatterns. Furthermore, a buffered oxide etchant (BOE) treatment of the silicon nanomesh structure results in an additional performance improvement through suspension of nanomesh strutures from the substrate and surface roughening. The sensor device shows a fast hydrogen response (response time < 5 seconds) and 10 times higher selectivity to hydrogen gas among other gases. Their sensing performance is stable and shows repeatable responses in both dry and high-humidity ambient environments. Professor Park said that his approach will be very useful for the fabrication of low-cost, high-performance sensors for chemical and biological detection with applications to mobile and wearable devices in the coming era of internet of things (IoTs).